So excited to unveil our Evil Stepsisters Disneybound as our first trip for 2016! 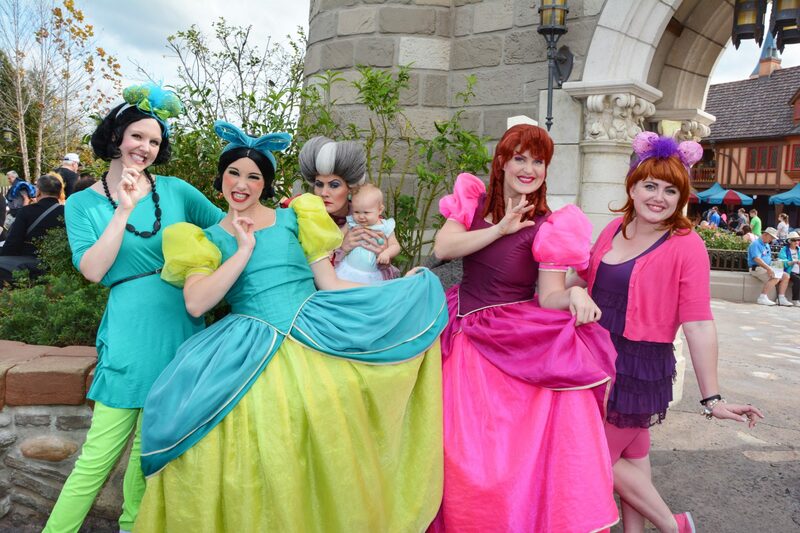 We were so excited to dress inspired by the Evil Stepsisters, I mean really they don’t get any love. This was also our first attempt at making our own ears (btw they’re so much easier to make than we thought). We dressed the little princess as Cinderella of course. The stepsisters asked if she was our pet and if we had trained her to do chores for us yet. They were certainly funny to talk to. 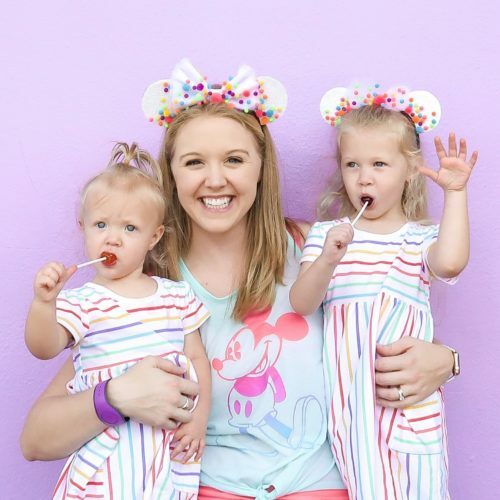 We also waited to meet the Fairy Godmother, after missing the line cut off 4 different times, we were finally able to see her during her last meet and greet of the day. The line for Cinderella said a ’30 min’ wait time but we were surprised to walk right up to the front of the line without a wait time at all! We truly lucked out! 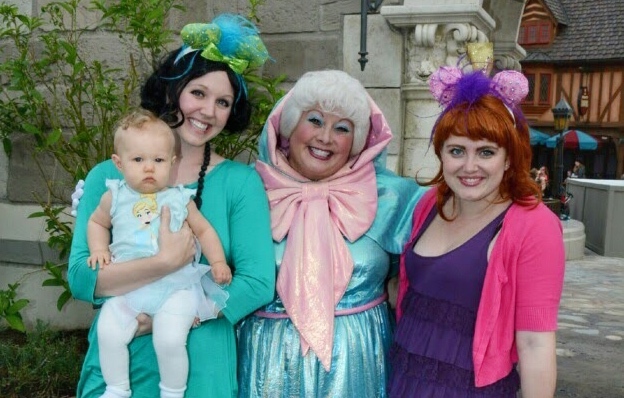 Rumor is the Fairy Godmother and Lady Tremaine won’t be making regularly scheduled meet and greet appearances in the near future, so we are truly glad we were able to get these pictures while they’re available. Have you met these characters? We’d love to hear about your experience in the comments below.